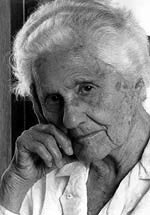 Eva Zeisel, an industrial designer that has shaped and inspired our industry turns 101 on November 13. 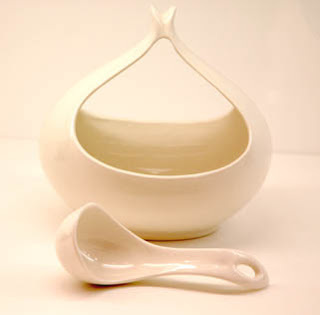 Eva Zeisel has been designing with passion and great skill over the last 80+ years. Born in 1906 in Hungry, she studied art and pottery in her early years. Eva was one of the first to design dinnerware for mass production in 1928 with the Schramberger Majolica Fabrik in Germany. She moved to Russia in 1932 to design dinnerware, bath fixtures and numerous household products. In 1936 while working in Moscow, she was arrested by the Stalin regime and placed in a prison camp for 15 months.She was charged with “plotting against the life of Stalin”. She was finally released due to the influences of important European intellectuals that contacted Stalin. Upon Eva’s release in 1937, she traveled to Vienna then to England. She married Hans Zeisel at this time. Her work is in the permanent collections of museums around the world including the MOMA and the Metropolitan in NYC and the Victoria and Albert in London. In 2005, Zeisel was awarded the Cooper-Hewitt National Design Award for Lifetime Achievement. Eva’s work is available today at Design within Reach and Crate and Barrel along with many art museum stores and galleries. Currently there is a wonderful exhibit of her work at the Craft and Folk Art Museum in Los Angeles until December 30, 2007. 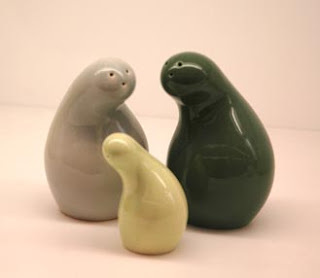 Eva is still actively designing today and recently authored a book, Eva Zeisel on Design. I believe all of us in the design community would like to wish Eva a happy 101st birthday and many more to come. Today I would like to take a detour from the main focus of this blog. In additon to working as a designer, I have been an active volunteer / paid-call fire fighter for the past 16 years. 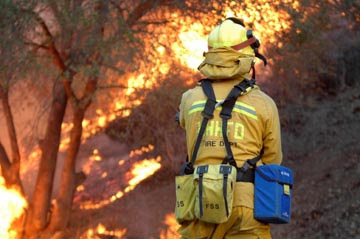 Currently I am working as a Fire Captain with the La Habra Heights Fire Department located in Los Angeles County. I was called out to help on the recent brush fires that devastated Southern California. At this point the fires are under control but the rebuilding is just starting. My thoughts are with those that lost so much and I hope their lives can return to normal soon. To view additional images that I took during my assignments in Malibu and San Diego County please click on this link.